Abiding by quality focused approaches, we are engaged in manufacturing, supplying and exporting a wide array of Office Lunch Boxes. 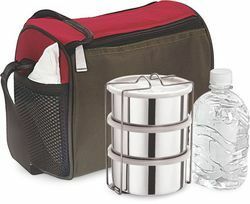 The demand of provided office lunch boxes is at peak as these are in-tandem with the well-defined industry norms. In order to ensure the same, we manufacture these lunch boxes using superior quality raw material. Backed by sound infrastructure, we are able to manufacture, supply and export a wide array of Micro Best Lunch Box (Microwable Steel Container). To ensure that our provided lunch boxes are able to meet the expectations of patrons, we manufacture these using optimum quality base material, in accordance with the established quality standards. 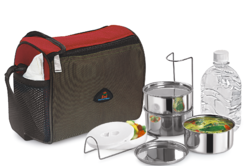 We hold expertise in manufacturing, supplying and exporting a wide array of Combi Meal Lunch Box. To ensure the peerless standards of these lunch boxes, we make use of supreme quality base material in their manufacturing process. After the completion of the manufacturing process, we check these lunch boxes so as to ensure their flawlessness. 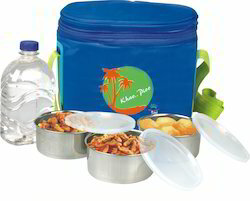 We hold expertise in manufacturing, supplying and exporting a wide array of Khao Pio Lunch Box. To ensure the peerless standards of these lunch boxes, we make use of supreme quality base material in their manufacturing process. After the completion of the manufacturing process, we check these lunch boxes so as to ensure their flawlessness. 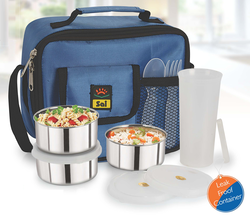 Backed by sound infrastructure, we are able to manufacture, supply and export a wide array of Best Lunch Box. To ensure that our provided lunch boxes are able to meet the expectations of patrons, we manufacture these using optimum quality base material, in accordance with the established quality standards. Backed by sound infrastructure, we are able to manufacture, supply and export a wide array of Best Tiffin Box. To ensure that our provided lunch boxes are able to meet the expectations of patrons, we manufacture these using optimum quality base material, in accordance with the established quality standards. 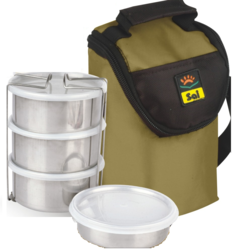 Backed by sound infrastructure, we are able to manufacture, supply and export a wide array of Best ExecutiveTiffin. To ensure that our provided lunch boxes are able to meet the expectations of patrons, we manufacture these using optimum quality base material, in accordance with the established quality standards. With firm commitment to quality, we are engaged in offering best grade Crisp Lunch Box. 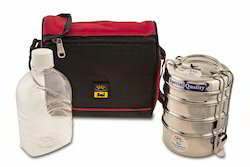 To suit the varied needs of patrons, we provide these lunch boxes in variety of sizes and grades. Sai Home Appliances Electric Lunch Box is the perfect example of innovation and comfort at its best. It heats and stores your food and also retains its nutrition. Made out of stainless steel, this wonderful product is most suitable for working professionals. It is made from durable and high temperature resistant materials. Carry your lunch in style! • Optimus Lunch Box is easy to Carry in your backpack. The product comes with a detachable cord. Plug in the cord to start heating. It heats food in 45 - 60 minutes. Product should not be immersed in water. Looking for Executive Lunch Boxes ?